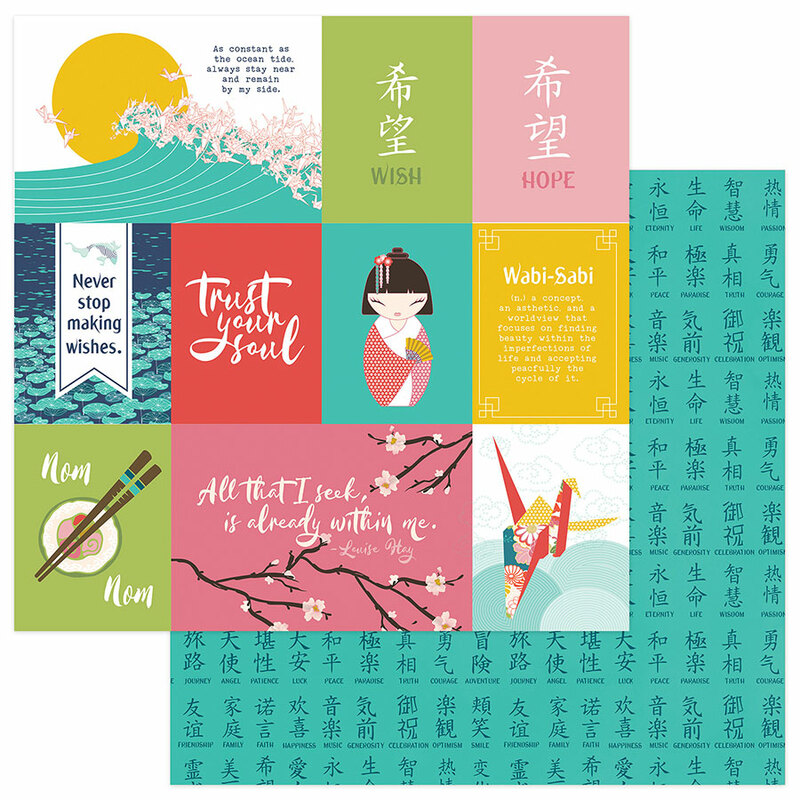 This 12x12 double sided paper has 3x4 and 4x6 Journaling Cards on the frontside while the reverse side has Kanji with its English translation in a turquoise. Look for coordinating Photopolymer Stamp Set, Designer Etched Dies, Sticker Sheet, Layered Stickers, ChipBoard and other Designer Papers. Part of the Paper Crane Collection by PhotoPlay Paper. Note: Look for my 'Value Pack' Available.